Every man should have at least one navy suit and at least one pair of navy pants. They are apt for office casuals, formal meetings and evening events. This is definitely one of the essential trouser colors for your wardrobe. While black is a popular color in Menswear, Navy blue will give you a edge over others. You can wear it with your white shirt and black shoes for a formal look but also with a light brown shoe and patterned shirt for a smart casual setting. Grey is one of the underrated colors in menswear. It is mysterious and super versatile. Grey can add a depth in your personality. It is less boring than black and much more mysterious than other colors. Grey is also suited for most of the skin tones and it pairs well with almost every color shirt. Grey on grey is also an amazing combination, just be sure not to over match things. In terms of shoes blacks and darker shades of browns are your best bet. Avoid tan or cognac because it is a clash of formality. If you look stylish only in the cooler months, my friend you need to step up your summer style. What better color than Tan? Tan is an essential color for summers. This pant can be paired with most shades of blues. whites and earthy tones. Wear tan, dark-brown or even black shoes and you’re sorted. Tan trousers are a little less formal but they still look very well put together. So, Gentlemen always start small while you’re starting to build your wardrobe and make sure they are versatile. 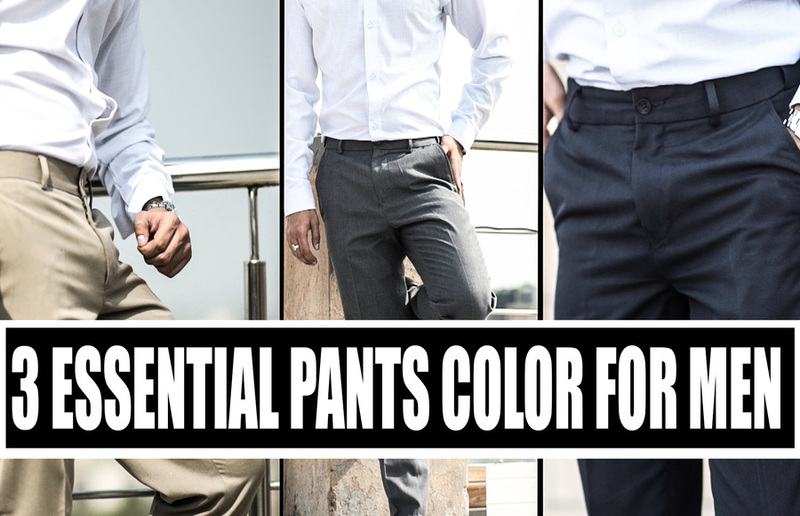 These essential trouser colors will keep you covered for most situations and can upgrade your style without looking over the top. We hope you will like the video. Don’t forget to drop a like and comment your feedback. We would appreciate if you can subscribe our channel and recommend it to your friends in need.